New Orleans is a condensed metaphor of the voracious petrochemical lifestyle widespread around the world and one of its worst consequences, the dissociation of man and territory. It is a global problem in its local idiosyncrasy. 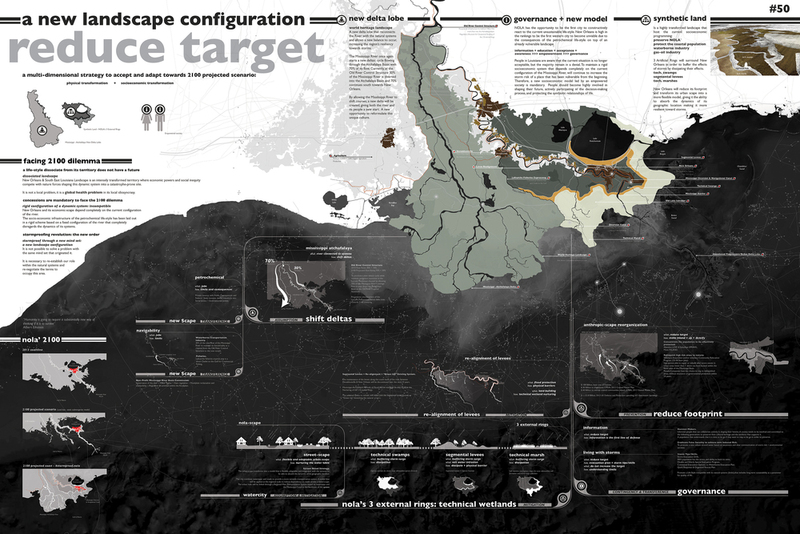 New Orleans is a part of a rigid system that depends completely on the current configuration of the Mississippi River; it is a dissociated landscape that has corrupted the highly dynamic ecosystem where it is nested with multiple interventions for the sake of protection and prosperity, to the extent of becoming inoperative. New Orleans is especially exposed not just because of its geographical location and its rigid approach, but also due to its strategic economic network and social vulnerability. The expression of the relationship between these factors is the dysfunctional landscape of the Mississippi Delta. 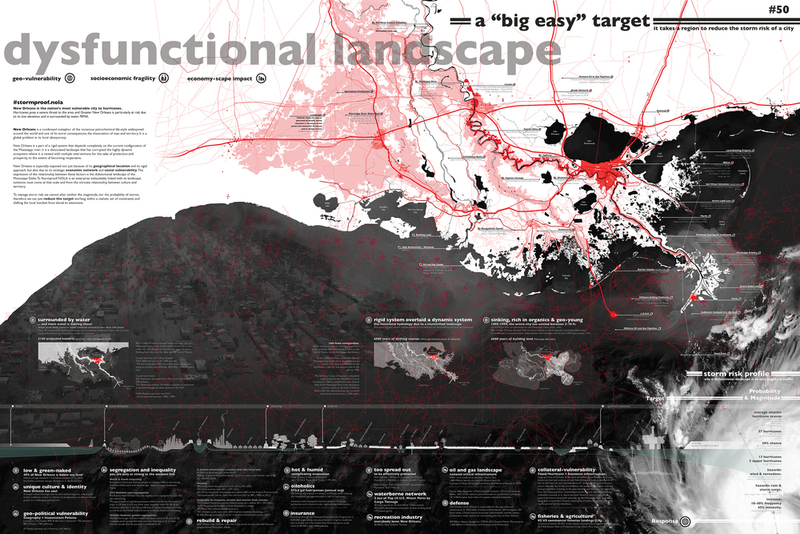 To stormproof NOLA is an enterprise indissolubly linked with its landscape; solutions must come at that scale and from the intricate relationship between culture and territory.